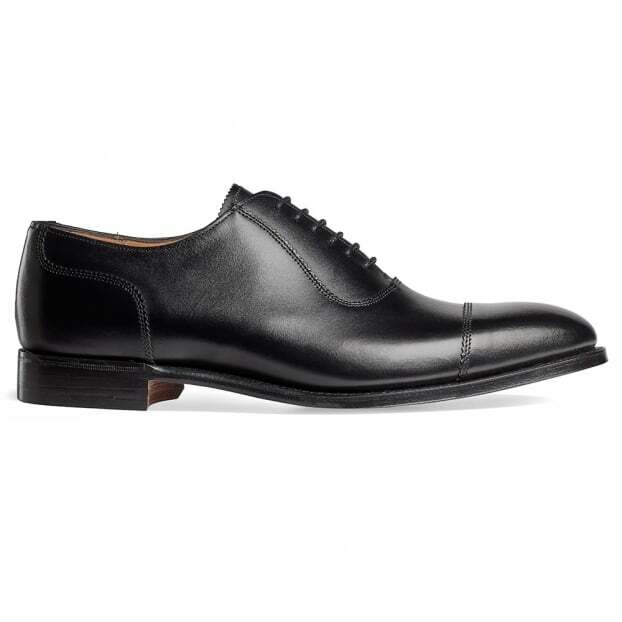 Introducing the Cheaney Brackley our men's Oxford in Black Calf Leather. Features include a 6 eyelet oxford fastening and stitched toe cap detailing all on our new 225 last shape. A classic style which will complete any formal look especially teamed together with a tailored black suit. Fully hand crafted in our Northamptonshire factory in England.